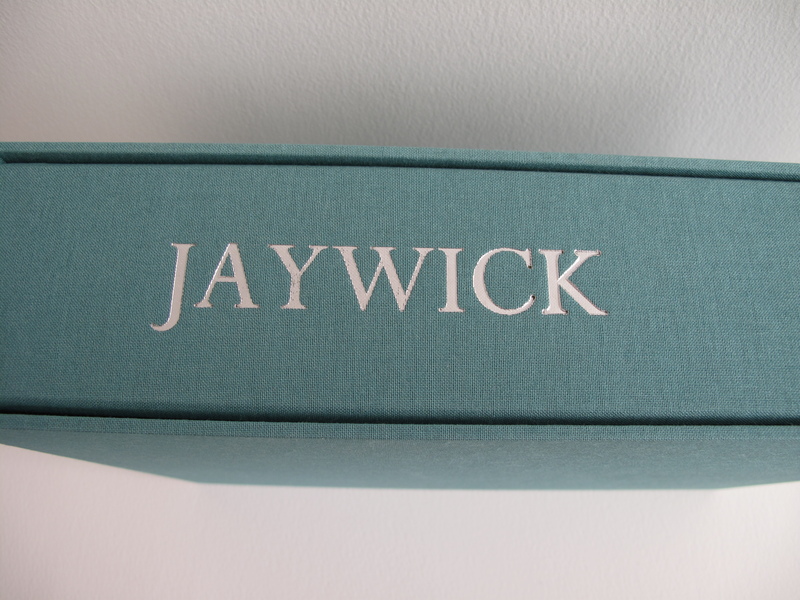 Jaywick Martello Textile goes on tour! 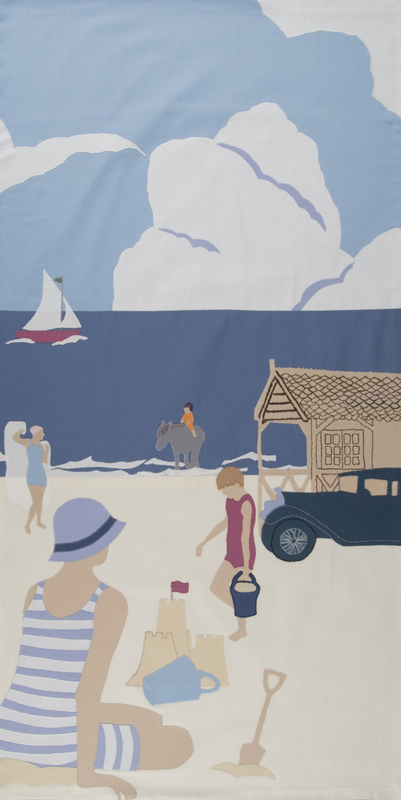 The Jaywick Martello Textiles are on tour this Spring and Summer. If you didn’t get a chance to see them at Jaywick Martello Tower then there are plenty of other chances to see them at other locations in Essex. Please check with venues for opening times and directions. We were very pleased that the exhibition at the Tower featured in the Clacton and Frinton Gazzette. The finished panels finally exhibited alongside one another. 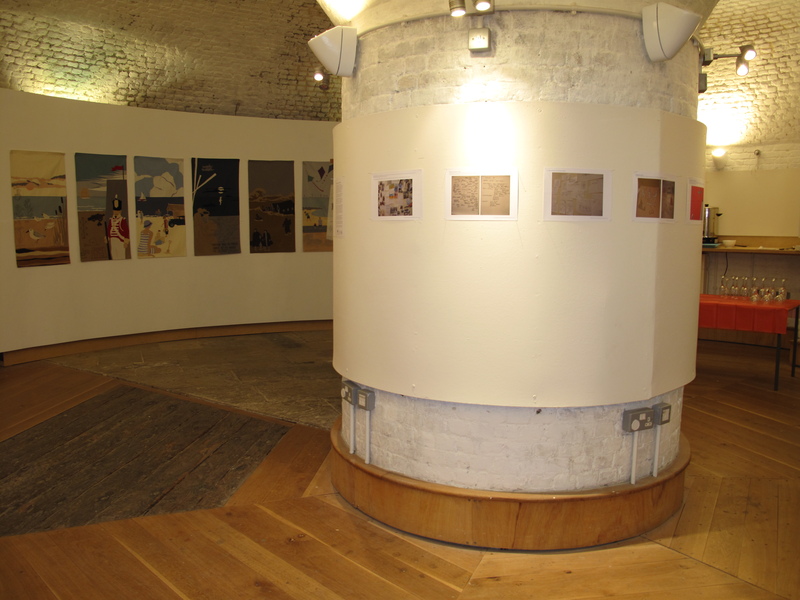 The Tower is a fantastic and atmospheric venue for an exhibition. The time line and the creative writing inspired by the panels exhibited on the wall. 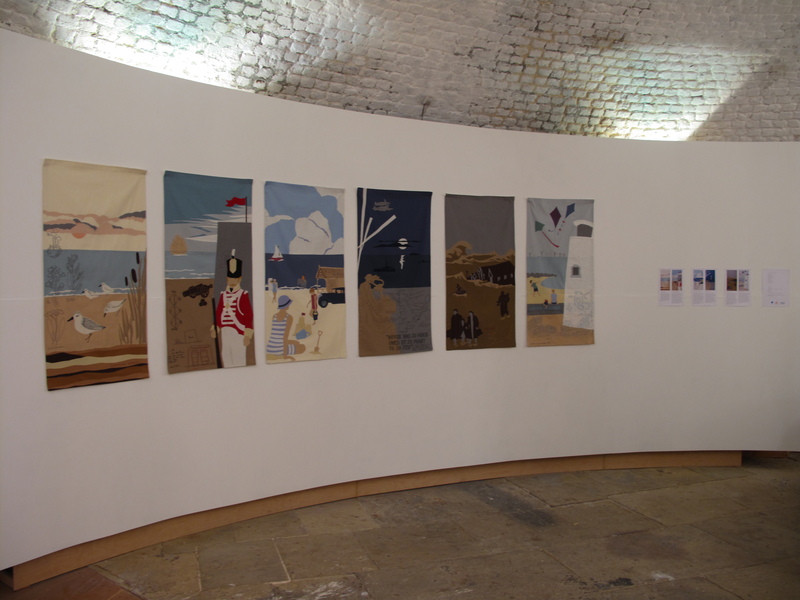 The project is on display at the Jaywick Martello Tower from 6th January 2011 to 27th March – Saturday and Sundays only 10.30am – 3.30pm. Visit the Tower site for directions and visitor information. 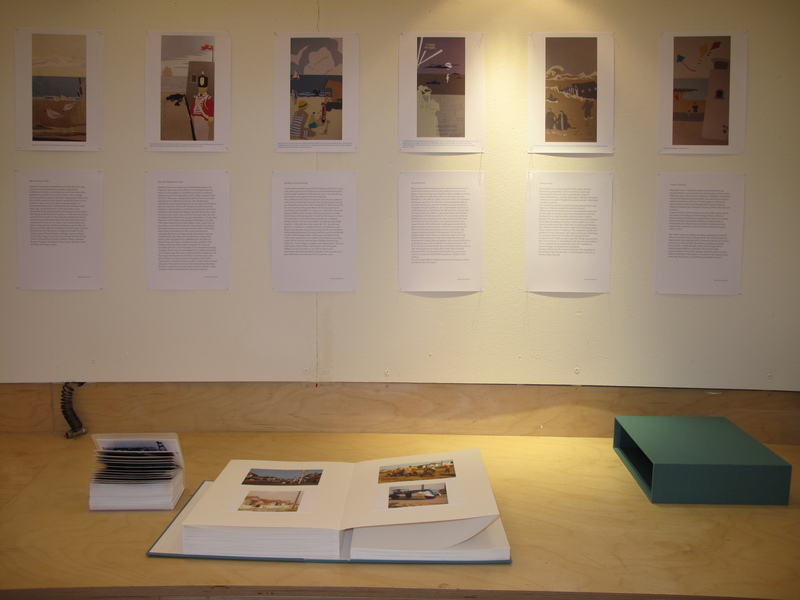 The timeline of images has now been collected from the bookbinders and looks great. 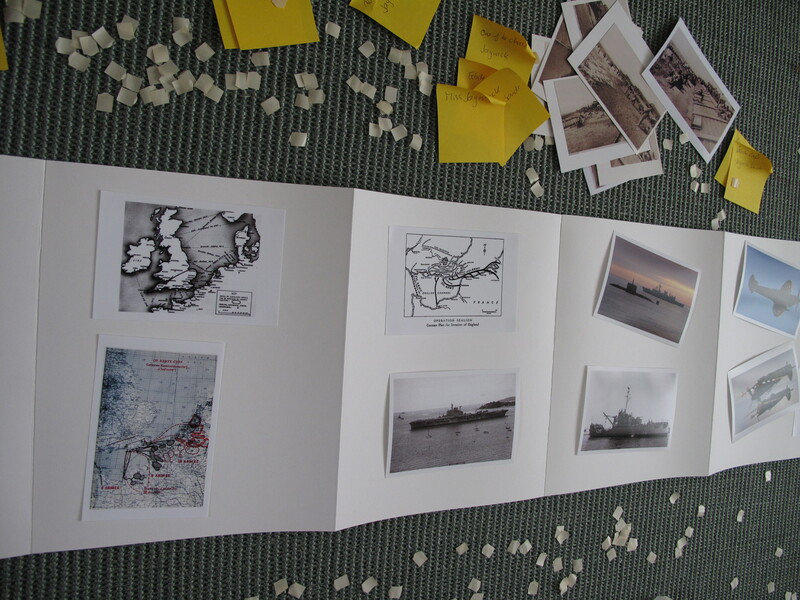 All the pictures collected for the research of the project will now be kept together to create a fitting archive of the project and more broadly of Jaywick and the history of the Martello Tower. 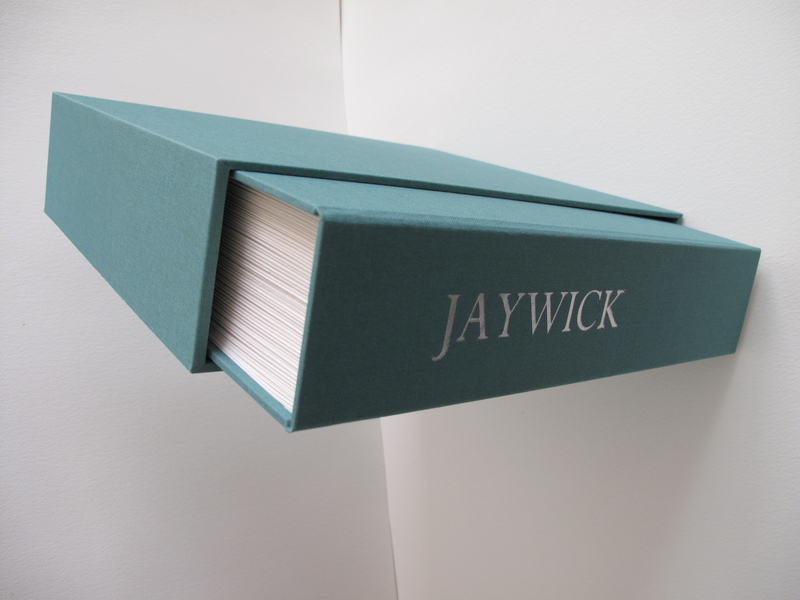 The book has a slip case covered in the same cloth to keep it safe and dust free. The pictures we collected were all reprinted to be uniform size and are stuck in with archival quality sticky tabs so hopefully they should last a very long time without fading, discolouring or falling out. 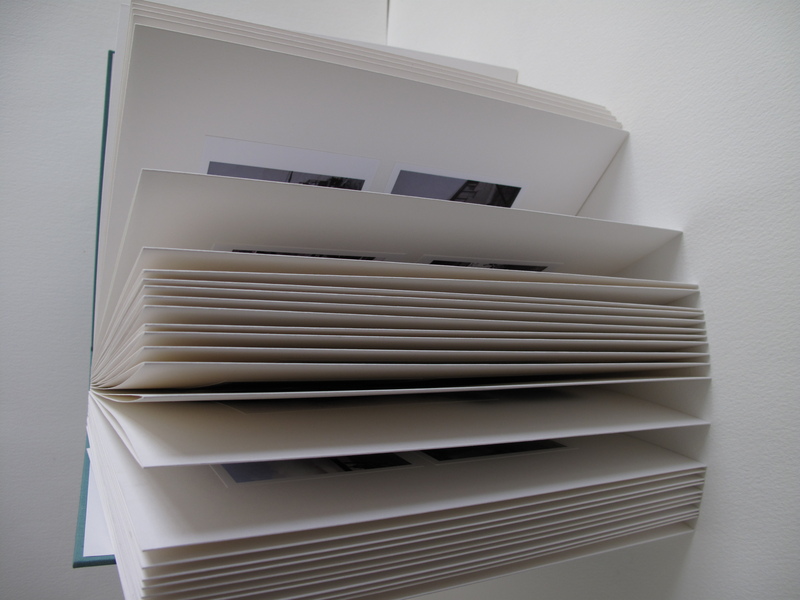 The pages form a concertina which means that you can unfold the book to create a continuous timeline of pictures. 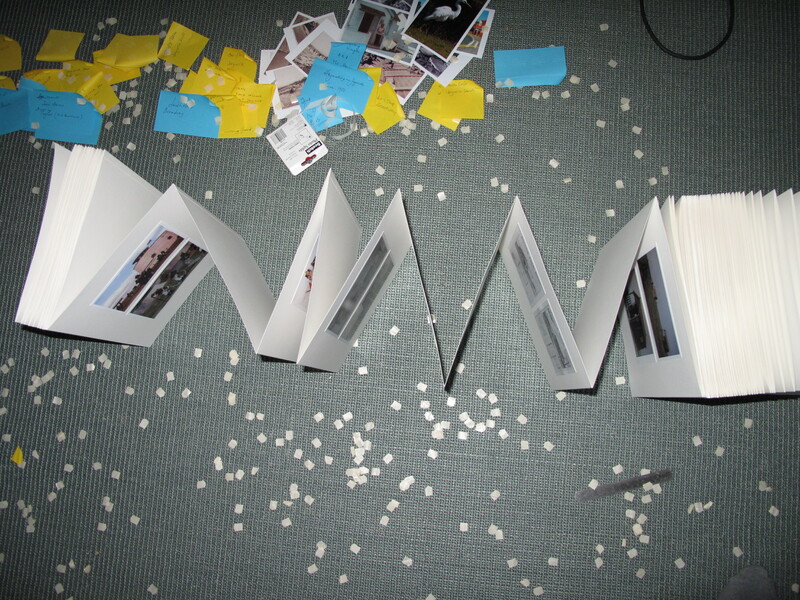 You would need quite a bit of space to unfold the whole book though. The title is foiled in a matt silver. 2nd December private view CANCELLED! Due to poor weather conditions the exhibition private view at the Jaywick Martello Tower scheduled for the evening of 2nd December has had to be canceled. If you see this message and know anyone who was planning to attend please do update them. 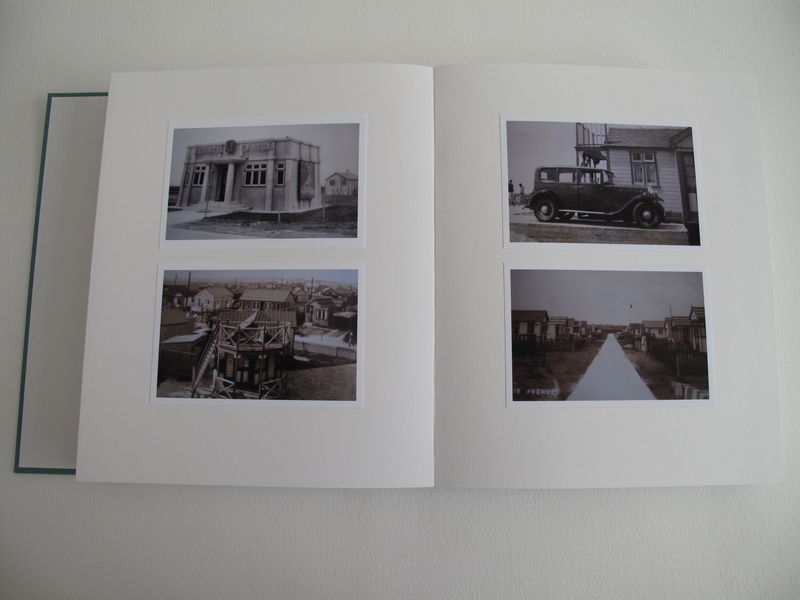 We have been collecting images of Jaywick and resource materials for the embroidery designs right through the project. 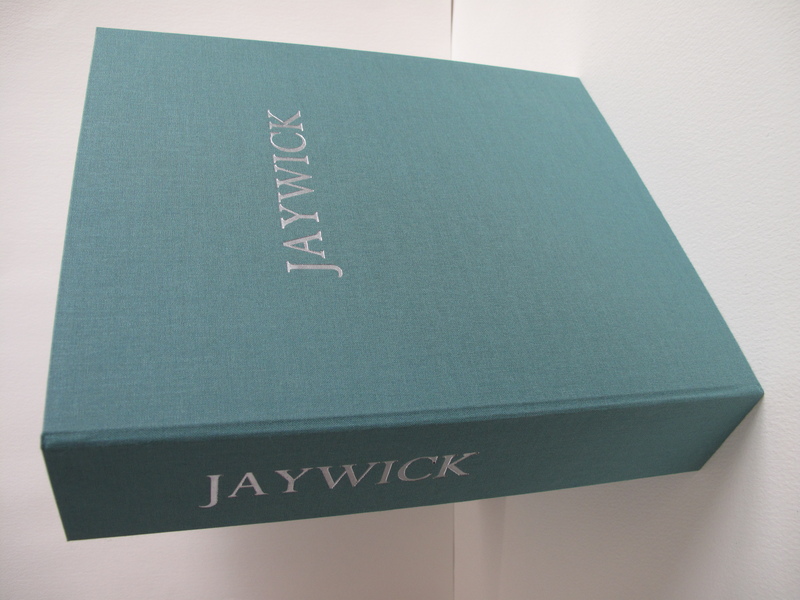 These are now being collected together into a time line telling Jaywick’s story through pictures. The images were sorted, selected and the order decided. 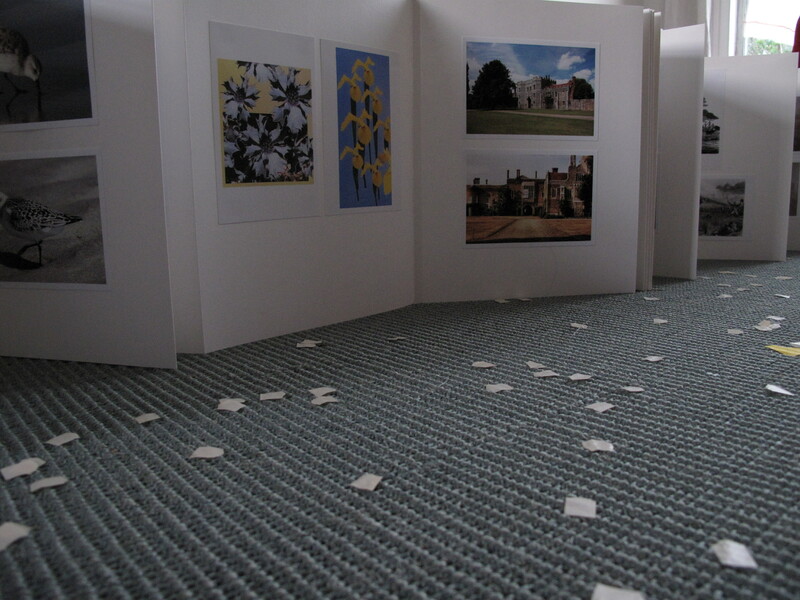 Each image had archival quality sticky tabs attached to the back – we hope this record will last a long time. The pages of the time line are like a concertina, when unfolded they create one long continues page, so that you can view all the images in sequence. Once it is assembled it is going to be bound. The panels are now all finished and have been backed in calico. 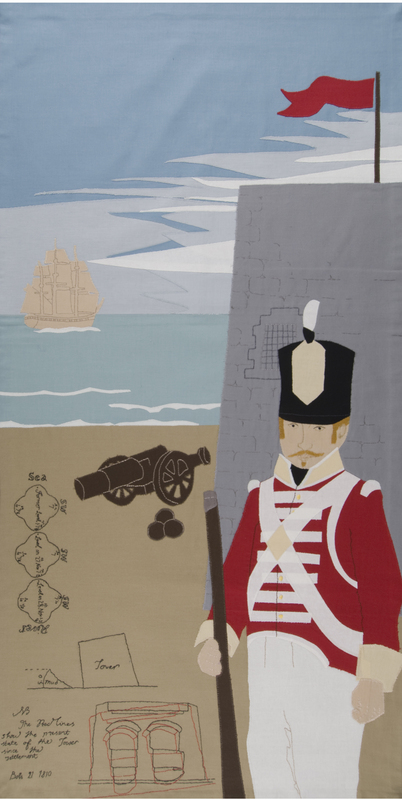 It will be exciting to hang them in the Jaywick Martello Tower to be able to view them together as a group.